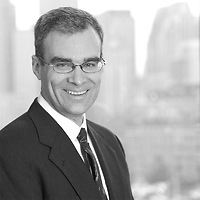 Ron Cahill, a partner and chair of Nutter’s Intellectual Property Department, commented on the significance of the Supreme Court case WesternGeco v. Ion Geophysical, which concerns lost patent profits occurring outside the U.S., in World IP Review. In the article, “WesternGeco v. Ion Geophysical: All You Need to Know,” Ron pointed out that the EU wants to become the go-to destination for patent litigation and is trying to establish the Unified Patent Court to achieve this goal. “How will they react if, for example, pharma companies sue in U.S. courts for formulations made outside the U.S.? Will they enact their own laws for European damages? That remains to be seen,” Ron said.